AL: MY BROTHER – Rarely, if ever, have I written about a fundraising effort in this column, primarily because I’ve rarely been involved in one. True, I’ve reported on other efforts for nonprofits and other worthy causes, but I was never directly involved in them. But this one is the rare exception, and the cause is, in my opinion, worthy of your attention, trust and support. By now you’re well aware that in my life away from newspapers, I am also a documentary filmmaker, with several short and feature-length documentaries under my belt. Two of the feature-length features I’m most proud of is 2010’s “Obama in NC: The Path to History,” the true story of how Barack Obama won the 2008 North Carolina primary, which was key towards his winning the Democratic nomination, and ultimately the White House. And in then in 2014, a film near and dear to the hearts of many in the port city, “Pardons of Innocence: the Wilmington Ten, ” the true story of bow ten civil rights activists were framed for crimes they did not commit in February 1971, unjustly convicted and sentenced to prison, only to have their sentences overturned by a federal court, and over forty years later, the Wilmington Journal leading the Black Press in securing pardons of innocence for the Ten from the governor of North Carolina. I still screen that film in and around the state, and still marvel at how audiences, young and old, black and white, continue to learn from it. Yes, I’m very proud of it. So how do I follow those two extraordinary projects? With, what I and many others apparently think is yet a third one. The name of the documentary I’m in pre-production for is “Al: My Brother,” and it is about veteran civil rights activist and attorney Al McSurely, best known as a close adviser to NCNAACP Pres. Rev. William Barber. Few people realize that long before he became a skilled civil rights litigator, Al McSurely was (and still is actually) a white proponent of Black Power. He worked with black militant leader Stokely Carmichael, and worked to organize poor whites to join with poor blacks to demand equality. For that, authorities raided Al’s home, confiscated the personal belongings of he and his wife then, Margaret; threw them in jail, and later blew up their home with them and their young son in it. Then they charged the couple with plotting to overthrow the state of Kentucky, and when Al and his wife refused to obey an order from a US Senate subcommittee, they were charged with contempt of Congress. And keep in mind this was long before Al ever became a civil rights attorney, but when he did, he represented black female Police Officer Keith Edwards; the black UNC housekeepers: the black state workers who filed suit after a noose was hung in their workplace, and many others. And then, 12 years ago, Al McSurely supported a young black preacher when that preacher decided he would lead the failing NC NAACP. That preacher’s name was Rev. William Barber, and the two of them have been the real deal for the past 12 years, making the NCNAACP clearly one of the best in the nation. As you can see, Al McSurely is a special man who has stood for justice all of his life, and continues to do so. He is respected and beloved by all who know justice and truth (and that ain’t everybody, trust me). As far as I’m concerned, he deserves this film and tribute, and I’m proud to make it happen. But that’s difficult to do because of the time and resources needed to get the job done right. On-camera interviews have to be done, endless research, lots of production work,…you name it. And it ain’t cheap. So CashWorks HD Productions has kicked off a Kickstarter crowdsourcing campaign to raise $25,000 towards financing production of “Al: My Brother,” hoping to complete the film and release it in October of 2018. How can you help? Please go to our crowdsourcing page at Kicksarter.com and enter “Al: My Brother”(https://www.kickstarter.com/projects/1585401759/al-my-brother?ref=user_menu to be precise). Check out our new video trailer for the film, and if it moves you (it will), please feel free to contribute at the level you’re most confortable at. The goal is $25,000 by Monday, August 7th, and we HAVE to raise that goal in in pledge, or the production doesn’t get a penny. That’s the way Kickstarter works, you either raise it, or forget it. We receive NO money until the full $25,000 is raised, and it has to be by Monday, August 7th, 2017. Finally the most important thing that you can do is to share the link to the “Al: My Brother” Kickstarter page with your circle of friends and family who appreciate the same lessons that Al McSurely’s story can teach us. I want to make the best film possible for you, and I thank the many people, including NCNAACP Pres. Rev. William Barber and Deborah Dicks Maxwell, president of the New Hanover County NAACP, for all of their help and support with this project. From now until August 7th, we’ll keep you updated on our progress towards our $25,000 goal, but in the meantime, Wilmington, you have always been good to me. I thank you for any and all help each and every one of you can lend towards this effort. Now that NC NAACP Pres. Rev. William Barber will stay on until the October conference elections, the picture is beginning to become clearer as to who is vying to succeed him. Rev. Dr. Portia W. Rochelle, president of the Raleigh-Apex NAACP Chapter, announced a July 7th campaign letter that she is now a candidate for the post, joining Rev. Dr. T. Anthony Spearman of Greensboro, the only other announced candidate. “…I am a hard worker, community leader, NAACP laborer, a mother, and a G’ma (grandmother),” Rev. Rochelle wrote. “It is my belief that if we are truly sold out to fighting for justice we must see ourselves as stakeholders,” she continued. Rev. 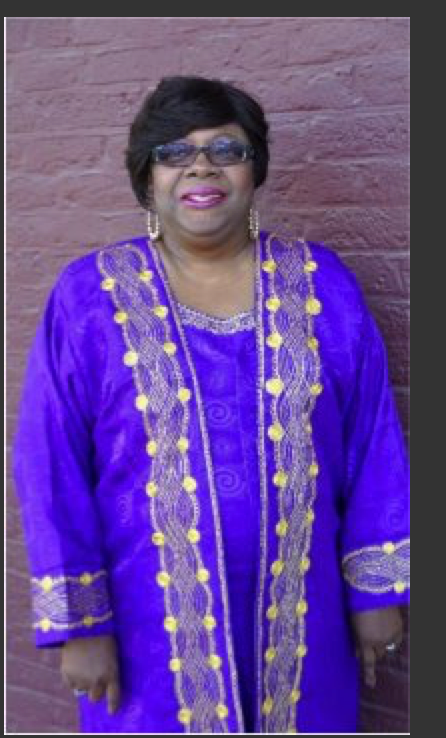 Rochelle is a native of Fuquay-Varina, and has served as president of the Raleigh-Apex NAACP for the past nine years. She has also been in the ministry for 20 years, receiving her Master of Divinity Degree from Shaw University Divinity School in 2002. During her study at Shaw, she received numerous scholarships and awards. She received a Doctor of Ministry Degree from Drew University in 2012. Besides Rev. Rochelle, others in the top leadership of the NCNAACP are expected to throw their hats into the October elections to succeed Rev. Barber, who will step down then after 12 years at the helm to join the national Poor People’s Campaign. Rev. Barber was expected to give his endorsement for successor originally after he announced he was “transitioning” from NCNAACP leadership in May, but then postponed that intention after he was asked to stay on a while longer, and agreed. In the aftermath of reports that the Republican-led General Assembly did not appropriate $200,000 proposed by Gov. Roy Cooper for the long planned Freedom Monument project to honor black contributions to North Carolina history, comes word that the state Senate actually cut funding to the NC African American Heritage Commission, a part of the NC Dept. of Resources, in effect attempting to cripple the commission going forward. Speaking on behalf of the NC Legislative Black Caucus about the General Assembly’s failure to fund the Freedom Monument, planning for which began under Republican Gov. Pat McCrory at least as far back as 2015, Sen. Angela Bryant (D-Halifax), in addressing the current status of the project, revealed what Senate Republicans initially did. “The Civil War Center is a local economic development project with relatively broad support from the Fayetteville local government and community,” Sen. Bryant added. According to the Winston-Salem-based primary fundraiser for the Civil War Center, of the approximately $27 million raised for its construction, funding came from Fayetteville, Cumberland County, and now $5 million from state government. About $7 million of the total comes from private funds. “We need to develop a similar constituency of support for the African American Freedom Monument and secure the needed funding in the upcoming short session (which according to published reports may be August and September), Sen. Bryant said. “The Legislative Black Caucus will continue to focus on the freedom Monument project as a priority, including an update on all efforts - design, fundraising, advisory efforts and efforts of the Dept. of Cultural Resources,” Bryant continued. Michelle Lanier, director of the NC African American Heritage Commission, was not available for comment, but a spokesperson for the commission confirmed that without the $200,000 appropriation from the legislature, the planning and design for the project cannot go forward. And, according to the spokesperson, there is no plan B for private funding. Thus far, neither House Speaker Tim Moore or Senate President Pro-tem Phil Berger have responded to inquiries as to why the Freedom Monument was not funded in the final conference report. “This was negotiated after the full [committee] chairs finished all the budget work that was asked of us,” said Rep. Donny Lambeth (R-Forsyth), one of the budget committee members. “I’m troubled that Republican legislative leaders neglected to fund an African American heritage monument on State Capitol grounds,” Gov. Cooper said in a statement. “My Republican colleagues have once again decided to ignore the history of the people they serve. I hope that we are able to find common ground to fund a project that is long overdue,” Sen. Paul Lowe (D-Forsyth) added. “These mean-spirited actions are just two of the many reasons that I voted against the budget in all of its iterations,” added Rep. Amos Quick (D-Guiford). “The Republicans presented no budget that I could vote for. The fact that there is a failure to recognize the significant and vital contributions of African Americans to this state should motivate voters who care about these matters to vote a difference in the upcoming elections,” Rep. Quick said. In an amicus brief filed in US Middle District Court in Winston-Salem Tuesday, attorneys for the NC NAACP joined plaintiffs versus the State of North Carolina in petitioning for voting districts be redrawn and special legislative elections be conducted immediately. A recent US Supreme Court decision upholding a lower court ruling that the NC Republican-led legislature’s 2011 redistricting maps were racially gerrymandered, and thus unconstitutional, also ordered a three-judge federal panel that originally ruled the voting districts illegal to take up the matter again. That three-judge federal panel has asked plaintiffs and attorneys for the state to submit briefs and prepare for arguments at an unspecified date. Most legal and political observers believe it is not likely that special elections can be held by November of this year at this point. Gov. Roy Cooper, a Democrat, called state lawmakers into special session a few weeks ago to redraw the voting districts before they recessed their long session last Friday, but Republican leaders refused, saying the governor’s request was unconstitutional. Instead, GOP legislative leaders said, they’ll take up the issue during a special session in August and September. Some political observers believe Republicans have already redraw the unconstitutional maps, and are just waiting for the court to order them to produce them. By redrawing the maps now before ordered, would allow Republican leaders from trying to keep the federal court from redrawing the legislative district lines itself. [WILMINGTON] In the midst of news that the toxic chemical GenX has been released in the Cape Fear River water supply for since the 1980s, the Cape Fear Public Utility Authority is asking the Missouri company that designed the Sweeney Water treatment plant to help filter the containment from the drinking water. According to CFPUA officials, a report is expected shortly on the prospect. Meanwhile, citizens and businesses in Wilmington are voicing concerns that thus far, they’ve received little to no direction from elected officials or government agencies of how much of a threat the GenX chemical, which was released from Chemours, a Fayetteville DuPont plant up the Cape Fear River for decades, actually is, and whether the water is safe to continue to drink and bathe in. The NC Dept. of Environmental Quality and the Federal Environmental Protection Agency are both investigating to determine water safety. Thus far, Chemours has stop releasing GenX discharge in the Cape Fear until more is known about contamination levels. [DURHAM] The state medical examiner’s office reports that an autopsy report just completed reveals that last February, Willard Scott, 31, was shot once in the back, and once in the lower buttock by a white NC state trooper, and died as a result of massive blood loss from the wound. Reported, Scott and the trooper had a confrontation prior to the shooting. A Highway Patrol news release reported that after a chase and the shooting, a handgun was found at the scene. The Durham NAACP says Scott’s family wants the trooper, who is on leave, prosecuted. [CHAPEL HILL] The UNC Board of Governors is scheduled to vote on banning litigation by the UNC Center for Civil Rights during its September meeting, after its Education committee recommends it during its August 1 meeting. The committee is expected to consider a revised proposal to separate the center’s legal clinics from the litigation ban. Critics say conservatives are targeting the center in order to stop litigation for liberal causes. Board members say tax money should not be used to litigate what are essentially private cases.